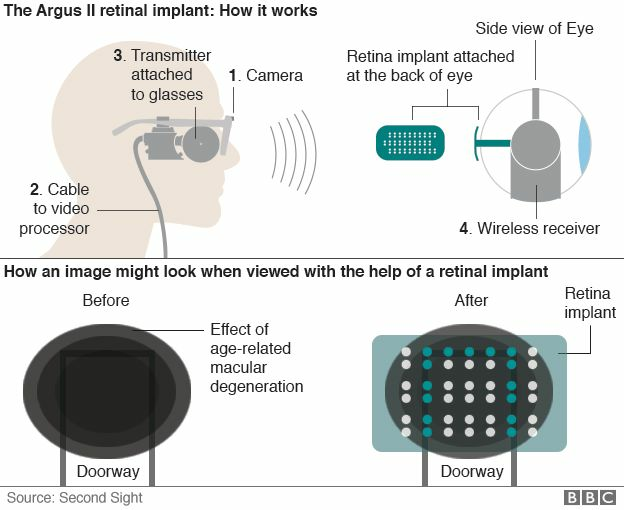 A UK man has had his sight partially restored thanks to a cutting-edge retinal implant. The implant converts images from a miniature camera worn on a pair of glasses. 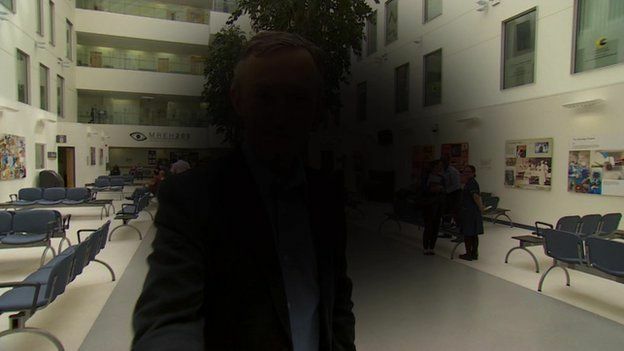 Ray Flynn, who received the world's first successful implant of the Argus II retinal device, told the BBC he is "delighted" with the results. According to the report, the device has been used previously to partially restore vision to those suffering from another vision-related malady known as retinitis pigmentosa. The successful operation on Flynn marks the first time the device has been used to treat age-related macular degeneration. Dry age-related macular degeneration is a condition that robs sight from the center of a person's vision as the macular tissue within the eye deteriorate. The retinal implant now in place converts the images picked up by the glasses-mounted camera and converts them into electrical pulses. The pulses are transmitted wirelessly to "an array of electrodes attached to the retina." The electrodes stimulate the remaining retinal cells, which then send the information to the brain. The report goes on to say that two weeks after receiving the implant, Flynn could detect a pattern of horizontal, vertical and diagonal lines on a computer screen, something he had been unable to do before the surgery. While the implant doesn't provide the sort of vision clarity present in normal vision, it does allow for the recognition of patterns such as door frames and other shapes. It's another piece of futuristic tech that is now a reality, and far less terrifying than the Russian head transplant proposed a few months back.